Congratulations to all students attending the Blue Thunder FTC Tournament. It was definitely a great way to finish the season. The Gremlins finished qualifying rounds undefeated (5-0-0) and ranked first. As first alliance captain, they selected the 4th ranked Glitch (4-0-1) to join their alliance. Crash (3-1-1) became the 4th alliance captain. All three teams met in the semi-finals, Gremlins continued their undefeated dominance and took both the semifinals and finals in 4 quick games to be crowned tournament winners along with Glitch and Michigan Center’s MC Hammers. In the last final match, Glitch filled the glyph box, capping off an excellent season. Good Luck Lane & Cakensteins!!! Watch and celebrate our Young Engineers from Chelsea Michigan Beach Middle School FTC (First Tech Challenge, grades 6-8) teams, the Glitch 11617, Gremlins 11618 and Crash 11729 build robots, learn, do outreach, have fun and compete throughout the Rover Ruckus Season. Our 2nd Qualifier is in Constantine, MI 11/17! We are three lucky teams. Over 170+ Michigan FTC teams are waitlisted and did not get 2nd competitions. While we didn’t get our requested date, we are competing! No bus this time, we will need to coordinate transportation. We are going to host our first FIRST event this Saturday! The JR FLL Expo! We will need everyone there to help! Sign up HERE. Come anyway if the sign up is full. Also, we are technically obligated to provide a volunteer per team to the events we attend. Event Queue Helpers and Field Reset volunteers get the closest vantage point to the competitors - if you want to catch your young engineers match from an unrivalled viewpoint. Volunteering is fun - meet awesome people, FREE TShirt and pin, AND FREE food! In addition, in the hurry-up and wait - you have something to do! Please let Coach Marka know and sign up HERE. Looking for a lunch coordinator for E Jackson and Constantine. Wednesday, 10/31 Happy Halloween! No robotics meeting! Saturday 11/3 9-12 @ North Creek - Chelsea’s Inaugural FLL Jr Expo!! As good citizens in the FIRST and Chelsea Robotics Community, the FTC will be helping! We will need Young Engineers to show off our robots and also assist in traffic control and assisting the K-3rd graders in their activities. Sign ups are HERE. Participation is expected, Please be at NORTH CREEK at 9AM (and there are less sign ups then FTC-er’s) but we will need additional help transporting bots and setting up, crowd control, and basic good examples. Afterwards, we will be heading back to our lab from 1-6 for working on our bots/presentations. Thursday, 11/8, 6-8PM - Pack up for competition! Saturday 11/10 6:45AM - 8PM - East Jackson Qualifier! The super cool news is that we have a BUS! All young engineers will be provided transportation! How cool is that?!? There will be a few spaces for parents/mentors. We will need a few parents to drive to transport bots (and enjoy the peace and quiet of their vehicles). The bus will depart 7AM sharp from Beach Middle School. We will return after the award ceremony, 7:30-8:00 PM, Sign Up genius for snacks, lunch and supervision is forthcoming. All young engineers are expected to be on the bus for the trip to and from the venue. Thursday, 11/15, 6-8PM - Pack up for competition! Saturday 11/17 5:30AM - 9PM - Constantine Qualifier! Calling all early birds! We will need to leave early - some families are planning hotels! (I need a transportation coordinator parent! No bus this time!) Constantine is 2 hours away and we need to be there at 7:30 AM. The FTC (First Tech Challenge, grades 6-8) students from Beach Middle School participated in a community engagement event at the 2018 Sounds and Sights Festival Kid Zone at the Clock Tower complex on August 28th. The FTC Young Engineers set up their new regulation playing field and robots so that participants of all ages could experience the thrill of driving the robots themselves. It was a high point for many future Young Engineers who left with wide smiles and a spark in their their eyes. A special thanks goes out to Jesica Federico and other event organizers to extending such as a gracious invitation to our club. A another thanks for the mentors, parents and families who helped support our Young Engineers at the event. We look forward to participating win the Festival in 2019! It wasn't all work though! Spontaneous dance practice errupted throughout the night and much fun was had by all! Come cheer on Technical Difficulties this Saturday at Lincoln High School! However, the success of our Young Engineers is not solely judged by our accolades, but by the substantial growth and excellent Gracious Professionalism of our students. Enjoy the video above showcasing this season. Additionally, the Gremlins received First Place for their Promote Award and Compass Award, honoring their FRC Student Coach Anne Findley. What a day! The Qualifier at East Jackson Secondary School was a great showcase for all the hard work and effort our teams have put in. I am so proud of our young engineers. BMS robotics had strong finishes in both match play and awards. I can’t believe we are State Championship bound once again! Team Glitch finished 3-1-1, 10th out of 36 teams. They had a strongest finish of any BMS team. They were awarded the Think Award for the quality of their Engineering Notebook and how it documented the design process. This award is in the advancement list and won Glitch an invitation to the State Championships in the Kellogg Arena, Battle Creek. With a few bad matchups, the Gremlin Bot fell to 2-3 in match play. However, they cleaned up on the awards. They won both video awards: The Promote Award - a 40 second video commercial for FIRST - with a rap music video. The Compass Award - a video tribute to Anne Findlay, their mentor. (Anne is a current FRC mentor and CHS senior who is an integral part of the mentor team. This was a well deserved recognition for her dedication and hard work since the FTC was formed at Beach. Meep, meep, Anne is Awesome.) They were also Finalists for the Connect award for outreach to engineering and STEM professions in the community and the Motivate award for outreach to the community at large. Crash placed 12th in match play, 3-2, and made the Semifinals as the 4th alliances 3rd selection. This is the first time any BMS team made it to the Elimination rounds in any tournament. A big shout out to the Crash for adding Ian Carter (Gremlins) and Andrew Hilbert (Glitch) to their pit crew so it would be an all BMS event. In Awards, the Crash had their turn in Bedford and Mason to pick up trophies. They were finalists in the Innovate Award, for innovation in design. Additionally, they also were Finalists in the Connect and Motivate awards. It is hard to reiterate how proud I am of all our BMS Robotics’ engineers. 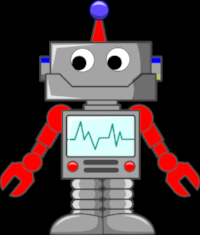 They have put in huge blocks of time to build a robot, program a robot, plan a presentation and to reach out to others. Today, the Chelsea FLL team from South Meadows Elementary are competing in Allen Park. Our FTC jr mentor, Lane, is on hand to help and cheer them on! Good Luck!!! BMS Robotics Crashed into the Bedford Qualifier! The Glitch started off strong, winning its first match. Software and battery problems sent them back to the pits more than once, frustrated. They are looking forward to making their mark in Mason next week. They still wow’d everyone with their teamwork and graciousness. The Gremlins quickly took over the pits and the FLL jr tournament with their gremlin mascots. Everyone seemed to be carrying a wee Gremlin mascot around. The Gremlins finished the strongest in match play of all the Beach Middle School Teams (3-2-0). The also were the 1st Finalist in the Motivate Award. The Motivate Award is awarded on the base of team outreach and sharing Robotics and FIRST with their local community. The Crash had the most trouble in matches, tipping over twice. They made radical changes to the software and amputated their robot’s relic delivery arm righting the balance. However, The Crash “crashed” into the awards ceremony with mentions and received 2 trophies! They won the Motivate Award! The judges really noticed the Beach Robotics efforts to bring notice to the Chelsea community, with one team winning this award and its sister team, Gremlins, coming in as Finalist. The Crash were also 1st Finalists in the Rockwell Collins Innovate Award. Their Mentor, Kepler Eberle, also received the Mentor/Coach Award. For a high school junior to beat out the experienced coaches and adult mentors, to be considered to be having a positive impact on young people, was awesome and surprising, but not undeserved. Next up is the Mason Qualifier, this Saturday! So awesome news! FIRST in Michigan has allowed teams to pick up a THIRD event. What an opportunity! Not only do the kids get an extra 5+ matches, more experience, and fun; it allows us an extra 60% more chances to make States! Unfortunately, our choices were Bedford on the 4th of November (a week earlier than planned) or Houghton in the Upper Peninsula (ha, ha, ha, ha! No way!) So Bedford it is! I apologize for the limited notice. 2017 Field Build: The Season is on! Today at our FTC Saturday Lab at Beach Middle School the students constructed the competition field up on the stage. Now, more then ever the season feels real. Great work by all our Young Engineers! Visit our Team YouTube Page! The Chelsea Robotics FTC Teams, Crash, Gremlins and Glitch attended the FTC Season Kickoff, hosted by FAMNM at the University of Michigan! It was an amazing day full of excitement, education and team building. A special thanks goes out to our hosts and the University of Michigan. Game Materials such as the game manual and field design can be found at the First Website. The http://www.theorangealliance.org/ is a new site to monitor and get realtime results for FTC matches all over the country (including Michigan). It even has our results for last year. Check it out! This is mostly a repeat from last week, but we've added quite a few interested parties. Look over the new BMS Robotics Handbook. I am excited to announce (almost) everything is in one place on how the season is run and what everyone must do to make the season a success. The first meeting will be Wednesday, September 6th from 6-8PM in the Tech Room at BMS. The last half of the meeting will be a parent info session that will start at 7PM. Since registration is still open, please RSVP via Sign Up Genius so I can make sure there are enough copies of the handbook and other items. 9/9 Kick-off and GAME REVEAL! Kick off and Game reveal will be on North Campus of University of Michigan from 10AM to 2:30 PM. Please RSVP via Sign Up Genius and bring $3 for pizza lunch. Meet at 9AM in the BMS parking lot to caravan in. On Wednesday BMS Robotics Teams attended the Beach Middle School open house to recruit new teammates for the 2018 Season. This includes returning engineers, rookie engineers, perspective young engineers and all parents. I know everyone is gearing up for the start of BMS Robotics Competition Season! (and the start of classes, too!) Here are some dates and announcements as we prepare for Relic Recovery! Any young engineer that participated in Competition or Team Building seasons is welcome to march. Meet at 10AM at East & Park. Bring Candy! Any veteran engineer is welcome to assist at our table. Please RSVP via Sign Up Genius. There are 2 shifts (3:30-5:30) and (5:30-7:30). Please wear your shirt! That is a lot! Phew! Can’t wait to see everyone! Thank you to all the young engineers of the BMS robotics for their terrific effort and professionalism that made this season a success. Here is a short video highlight the entire season. Enjoy! Yay! I've created my first blog post! How exciting.